The exhibition explores the history of forced adoption practices from 1950 to 1975 in Australia and follows on from the 2012 Senate enquiry into the Commonwealth Contributions into Former Forced Adoption Policies and Practices. The inquiry recommended a national apology; subsequently delivered by former Prime Minister Julia Gillard in March 2013. We are very proud to have designed an exhibition that responds to and contains this sensitive and important history. The exhibition content was informed by the Forced Adoptions History Project website developed by the National Archives in 2014 which was developed after a series of stakeholder workshops. A second series of stakeholder workshops was used to develop content for the exhibition. The central form of the exhibition is inspired by drawings and reoccurring motifs mentioned by stakeholders of the infinity symbol, the shapes of a circle and broken circle. 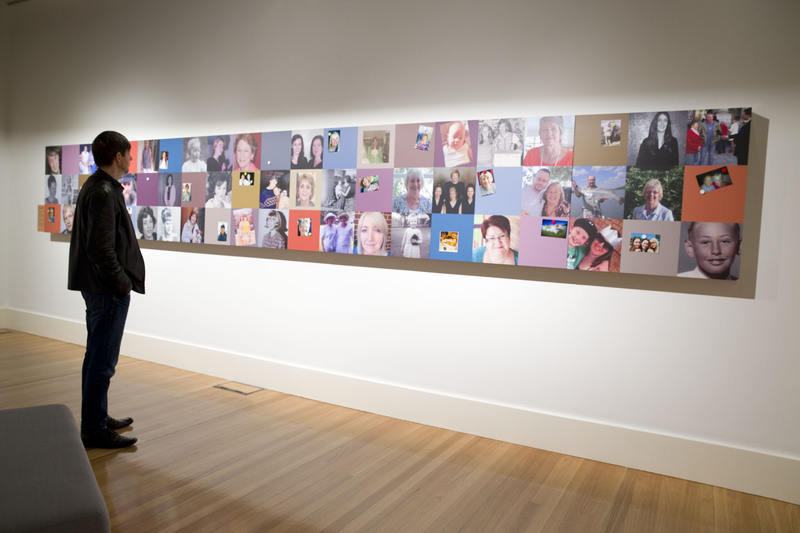 Former Prime Minister Julia Gillard formally launched the exhibition on 30 March 2015 to mark the 2nd anniversary of the national apology.